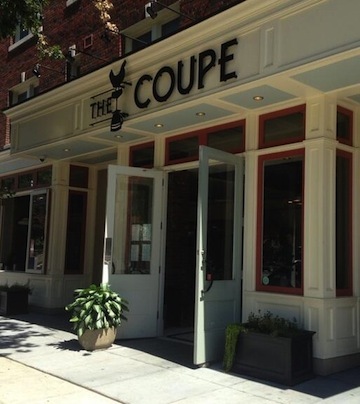 The Coupe | Gluten Free D.C.
What I got: Try the scrambled eggs, chicken sausage and the most flavorful grits you’ll ever taste. (Make sure to ask for no bread.) Perfect for any time of day. Gluten-free friendliness: The gluten-free options are seemingly endless at The Coupe. The menu is equipped with an easy-to-follow key indicating which items are gluten-free. Some of the more non-traditional gluten-free items include vidalia onion perogies and a tofu quiche. Overall vibe: Open 24-hours, The Coupe’s menu changes more than a few times a day, but the atmosphere remains relaxed and welcoming. Whether you meet a friend for lunch, grab a cup of coffee and do some work or order a drink at the bar, you’re guaranteed a good time. 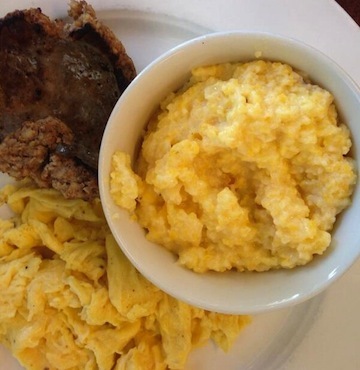 This entry was posted in Columbia Heights and tagged Breakfast, ColumbiaHeights, DC, Dinner, Drinks, GFDC, Gluten-free diet, Gluten-free food, Gluten-free restaurants, GlutenFree, GlutenFreeDC, Lunch, TheCoupe. Bookmark the permalink.